Kari Kenefick has been a member of the Wisconsin Pottery Association since the Show and Sale of 1997, when she was coerced by her cousin Barb Reed to help watch the exhibit and then to join the club! The coercion continued and Kari was the founder & editor for almost five years of the WPA Press, the club’s quarterly newsletter and has served as the club’s vice president and president. Kari’s collecting preferences are primarily for arts and crafts era pieces, Brush and McCoy potteries, and Lu Ray dinnerware. This picture was taken during the Clewell presentation. Betty was the second President of the Wisconsin Pottery Association & is a charter member. Nicol Knappen is a charter member and past president of the Wisconsin Pottery Association. He serves on the club’s program and exhibit committees and has served as Vice President. A publishing professional, he has served as editor of the Journal of the American Art Pottery Association (1992-1993) and editor of the Red Wing Collectors Society Newsletter (1994­-1998). 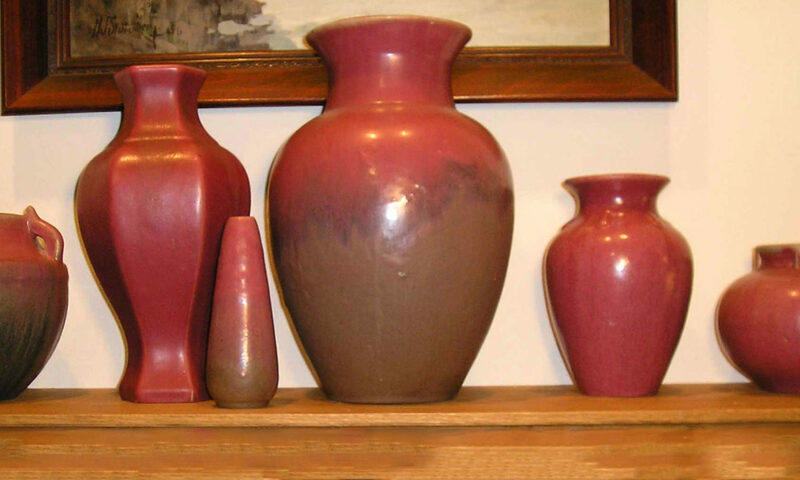 He has consulted on or edited numerous pottery books and edited or written hundreds of articles on American pottery. He also edited a 90-minute videotape from the WPA’s 6-hour video-history of Ceramic Arts Studio artist Betty Harrington. Nicol has done presentations to the Wisconsin Pottery Association on Haeger, Camark, and was a co-presenter of a Sascha Brastoff presentation.